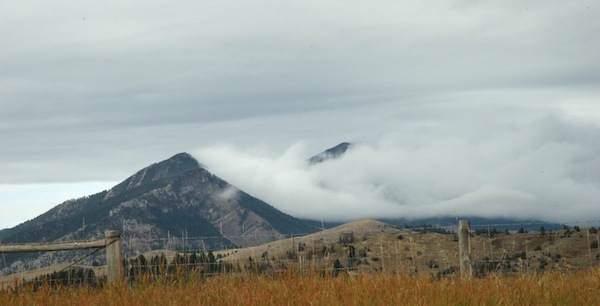 Steinbeck rides U.S. Highway 10 from Beach, N.D., into eastern Montana. He passes through Miles City, drops down to the Custer Battlefield site briefly and continues on old U.S. 10 west through Billings to Livingston. At the end of his fourth long day of driving since he left Chicago, he says in a letter to his wife that he was parked in a trailer court. He arrived in Livingston in time to watch the third Nixon-Kennedy debate. Day 1 of Steinbeck’s trip was Sept. 23, 1960. Steinbeck confessed his new love to his wife Elaine in a letter from Livingston that night. Though he told her he was at a trailer park “outside of Bozeman,” he was almost certainly in Livingston. 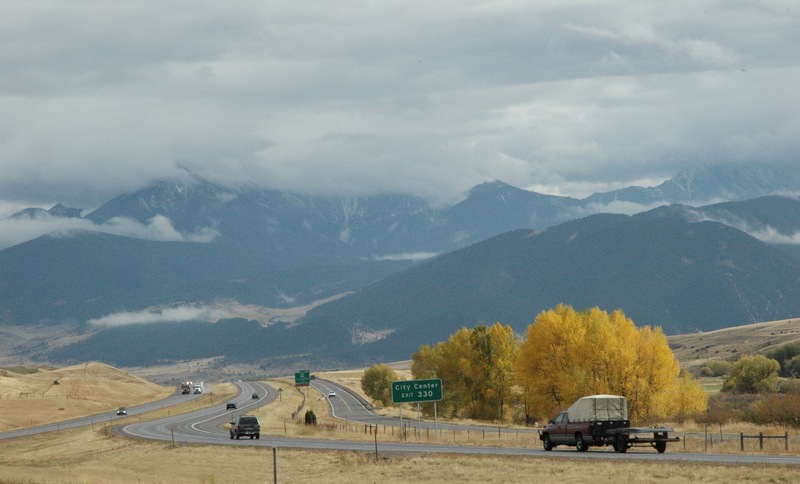 It’s only 27 miles east of Bozeman and the towns are separated by the desolate and motel-less Bozeman Pass, which nears 6,000 feet as it cuts through the Gallatin and Bridger mountains. Adding the long day’s events to the letter he had written the night before but had not mailed yet, Steinbeck gushed over Montana’s “grandeur.” He described “the little square burnt-up men” he saw in the bars, mentioned his Little Big Horn side trip and told his wife about the old-fashioned stockman’s hat he bought in Billings to replace his naval cap, which he said was attracting too much attention so far from the sea. It was very cold and Steinbeck said there was snow in the Rockies and on the “great snowy mountain beside me.” He was heading toward Idaho in the morning, he said, but didn’t think he’d make it. Montana was not only huge. It was so beautiful he drove slower than usual so he could gawk at it. 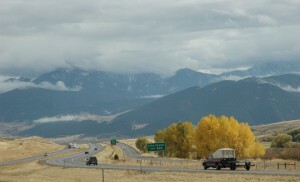 Before heading west from Livingston, Steinbeck says in the book that he abruptly decides to drive about 55 miles south on U.S. 89 to Yellowstone Park. When Charley goes nuts every time he sees a grizzly bear, Steinbeck quickly leaves and retraces his path to Livingston. He turns west on U.S. 10, buys a rifle in Butte and drives past Missoula before stopping. In an undated letter to his wife Friday night he mentions his Yellowstone detour that morning and says he was camped on the property of an old woman west of Missoula about 60 miles from the Idaho line. That would have been near Tarkio, but local old-timers there could not provide any further clues about Steinbeck’s second night in Montana. Day 1 of Steinbeck’s trip was Sept. 23, 1960. He can’t be blamed for being smitten. But his relationship was more like a two-night stand than a serious love affair. He drove down the main streets of Billings, Bozeman, Butte and Missoula and other smaller U.S. 10 towns. He stopped in bars, a clothing shop and a gun store. He stayed one night in a trailer court near Livingston and a second on private land west of Missoula along the Clark Fork River. Montana-born Trudi Logan Steigerwald and daughter Lucy enjoying an anonymous mountain top in 2007. But other than gawking out his windshield for hours at the state’s natural grandeur, that was pretty much it for Steinbeck’s fling with lovely Montana: Two days, two nights, two sunsets. Fifty total hours and about 850 miles of driving. All packed into 2.5 pages of “Travels With Charley.” Steinbeck obviously missed a lot of Montana. 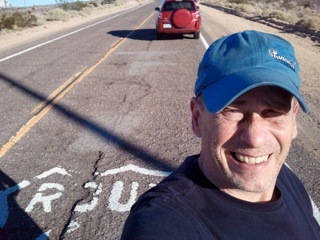 Curving from southeast to northwest on old U.S. Highway 10, he saw just a sliver of the country’s fourth biggest state. 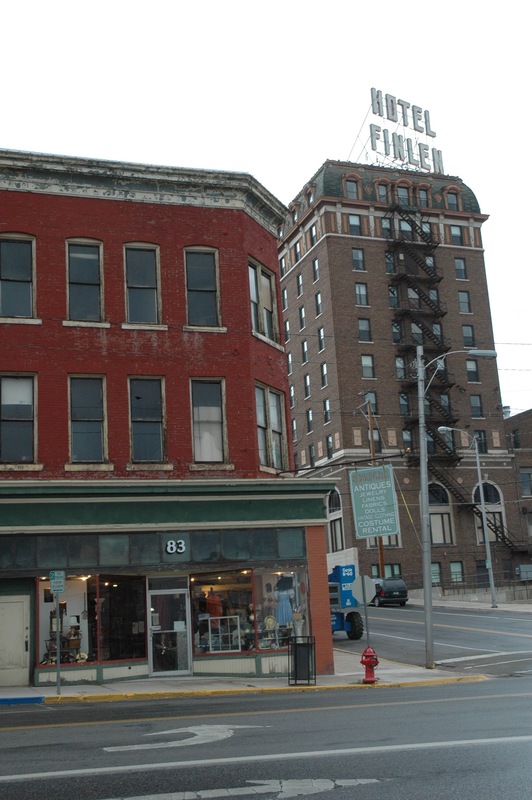 The corner in Uptown Butte where Steinbeck says he stopped on Oct. 14, 1960 to buy a rifle and a scope at a sporting goods store that, like its owner, is long gone. He didn’t see Glacier National Park, Flathead Lake or the Missouri Breaks. He didn’t have time to do the signature outdoor Montana things –- fly fishing in the Yellowstone River, hiking up creeks to the toxic but cool ruins of silver mines, driving 10 miles into a pine forest on a dirt road for a picnic in a meadow at 7,000 feet or conquering your own nameless mountain. How he figured out Montana so quickly testifies to Steinbeck’s superior powers of observation. 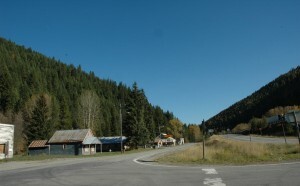 Steinbeck left his overnight camping spot near Tarkio midway between Missoula and the Idaho border and rode through little Saltese, Mt., on U.S. 10 into the top of Idaho. It is here where things again get vague and confusing. In “Charley,” Steinbeck says he stopped overnight at an isolated, rundown motel/gas station in the mountains near the Idaho-Washington border and rushed sick Charley to a vet in Spokane the following morning. 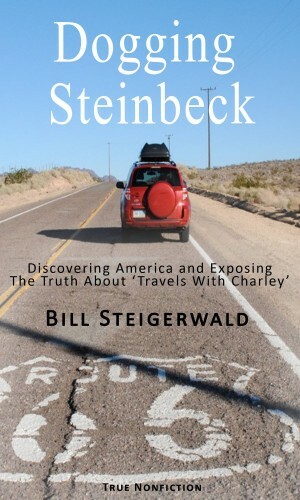 If Steinbeck did stop in northwest Idaho Saturday night, however, it means he drove only 136 miles that entire day. It’s possible Charley’s sickness really did slow Steinbeck’s pace, as he says in the book. Maybe Charley really did have to see a vet. But given his haste to meet his wife in Seattle, Steinbeck probably spent the night somewhere farther into Washington or drove to Seattle in one 400-mile gulp. Whatever he did on this date, it’s another mystery night with no clues. Day 1 of Steinbeck’s trip was Sept. 23, 1960. In the thick forests of northwest Montana I pulled off I-90 at the Saltese exit to inspect a well-preserved stretch of Old Highway 10. About half a mile long between its two dead ends, the main street of “The Recreational Capital of the Northwest” was a compact 1960s time warp with about 20 buildings. Saltese, Montana, and its 20 buildings still looks a lot like it did when Steinbeck and Charley drove down its main street on the morning of Oct. 15, 1960. Steinbeck drove down Saltese’s main street on Saturday morning, Oct. 15, 1960. Mangold’s General Store & Motel had a different name then. But the grocery, six pine-paneled motel rooms and the big “M-o-t-e-l” sign were all there by the edge of the road when Steinbeck and Charley motored past. So were the decommissioned state highway maintenance shed, most of the homes and the building housing the Old Montana Bar & Grill. Terri Mangold has owned and operated the grocery store/motel complex on the bank of the Clark Fork River since 1995. She played local historian for me. When I-90 was poured on top of U.S. 10’s right-of-way in the early 1960s, Saltese’s only street – U.S. 10 – was frozen in time and the town got its own interstate exit. Saltese, which Mangold said was in the middle of “a winter play land,” had about 60 permanent residents. It gets 20 feet of snow a year and sits under a steep, rugged forest at the foot of the Lookout Run ski resort. Mangold’s all-pine motel rooms were absurdly reasonable – $30 a day and up depending on the size. She said they were usually full year round, thanks to the hunters, fishermen and snowmobilers who stay for a week at a time and spend their days killing big things in the woods.